It's such an important celebration, and one that you want to get just right. That’s why the team at Paper Divas have designed and collated a range of high-quality 21st birthday invitations that are unique and super stylish. No matter what kind of theme your celebration revolves around, or what your individual design tastes are, we can give you the perfect paper products to complement your special event. Why choose us for your big birthday bash? With a HUGE range, low prices, and an easy online ordering service, Paper Divas makes party planning a breeze. 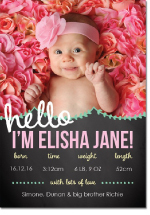 Simply choose a style you like, then personalise it with your own picture, choice of colours and wording to make it truly yours. Whether you’re looking for something classy and elegant; something feminine and pretty; or something to tie in with your party’s specific theme, we will take all of your requirements into account and cater to your individual needs. 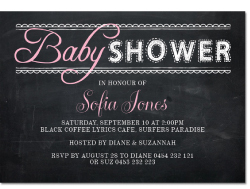 Not only do we do 21st invitations, we can also create invites for all ages - 60th birthdays and sweet 16 celebrations! We have undertaken all the necessary research to create our range of beautiful, original designs you see on our website and are proud to offer our products to you. No job is too big or small for our design company, and we commit ourselves to delivering quality results each and every time. If you have something special in mind or simply need some design consultation for your upcoming event, get in touch. Our talented designers will be able to design something that matches your needs perfectly. 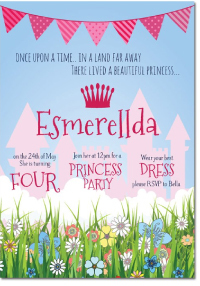 Order your 21st invitations today and make your party a memorable one! Use our online ordering or call us direct on 1300 088 854 if you want to discuss your needs further. Our friendly staff can help give you the party you have dreamt of.